Schools and iPads. What does the research say? We are still getting interesting questions from parents in schools and today was no exception. One of these questions – Does the research indicate that putting iPads into the hands of children for home / school use benefit their education? We do use anecdotal evidence a lot when talking about the benefits – but sometimes that isn’t enough and we need evidence to support our beliefs. An iPad, or any personal learning device, on its own doesn’t improve teaching and learning but when embraced by the teacher, incorporated within the curriculum and utilized within a wide range of formal and informal learning environments then achievements can be significant (see Don Passey –Widening learning and gaining achievement impact). ‘Personal ‘ownership’ of the device is seen as the single most important factor for successful use of this technology: ? This is seen as the critical element: … in increasing student levels of motivation, interest and engagement; … in promoting greater student autonomy and self-efficacy; … in encouraging students to take more responsibility for their own learning.’ ? Evidence suggests that greater personal ownership of the iPad may also contribute to more interdisciplinary activity. 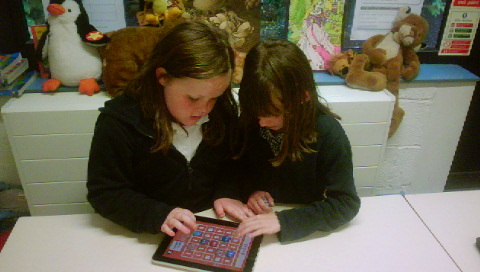 Want to see an example of how iPads are being used in primary schools? ‘Our son has wholeheartedly embraced using the iPad, in particular making and recording his own videos, songs and movies. He interviews us, he records music videos and makes interactive books. Today a spelling lesson and test used the iPad, with the pupils listening back to the recorded spellings’.